This was the view on the five mile long toll bridge. Graham Cooper, “Maestri Bridge,” New Orleans Historical, accessed July 28, 2017, http://www.neworleanshistorical.org/items/show/336. 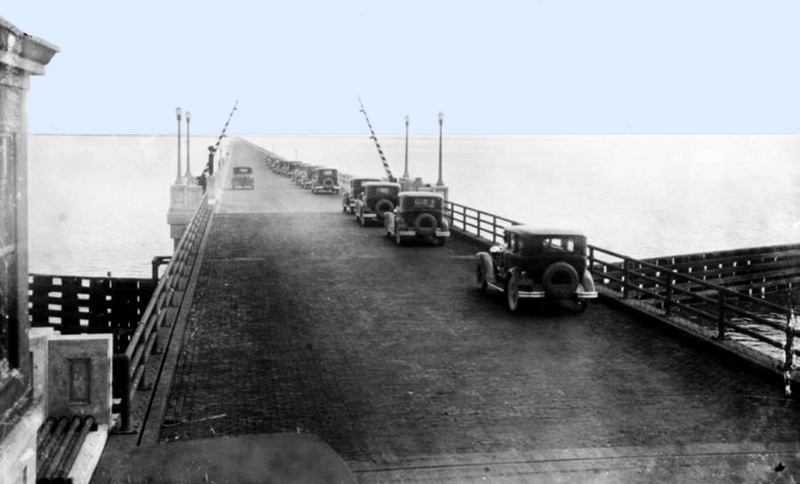 The public outcry against the tolls on the bridge prevailed and ten years later the state decided to buy the bridge and make it a free crossing. 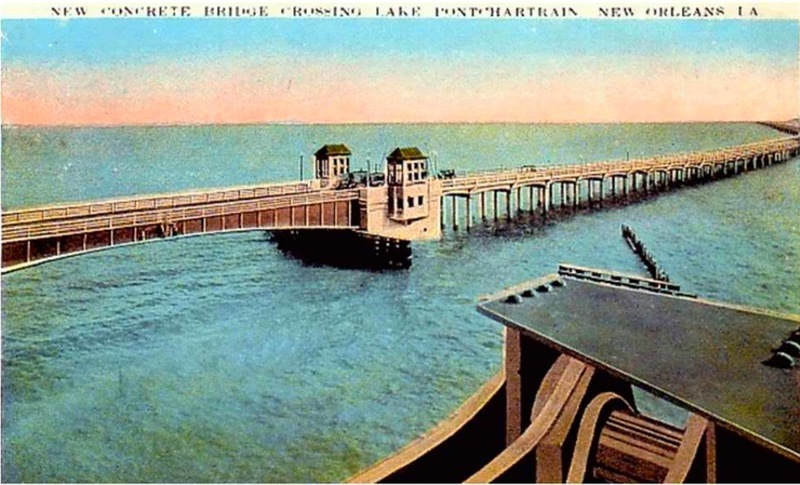 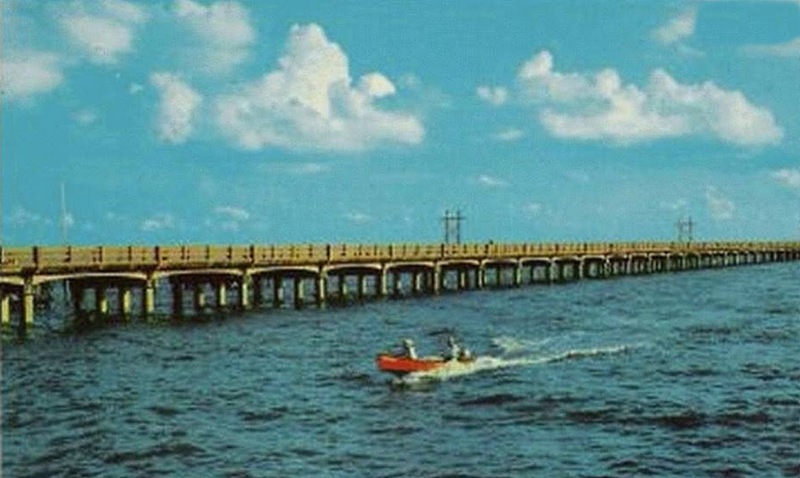 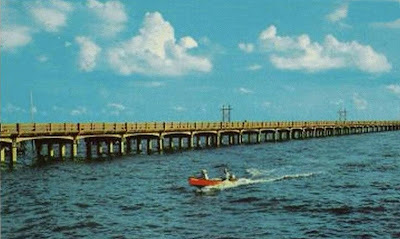 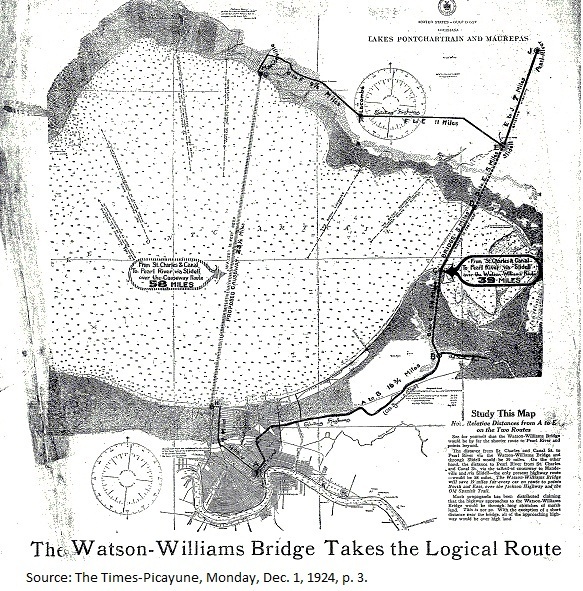 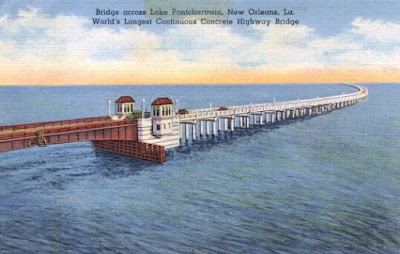 The postcard above shows the "Maestri Bridge" over Lake Pontchartrain from New Orleans to Slidell, at that time the "world's longest continuous concrete highway bridge." 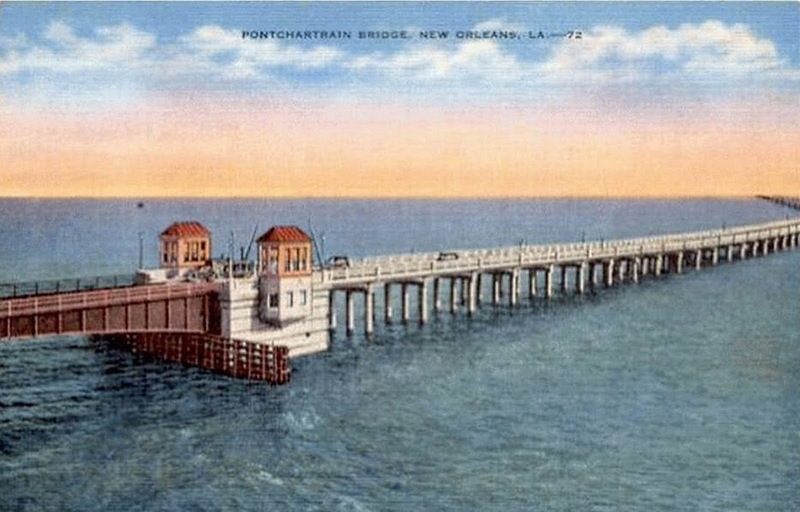 It survived the high surge waters of Hurricane Katrina and is still in use today .